In line with global practice and the mandate by the Central Bank of Nigeria (CBN) to all banks in the country to commemorate the World Savings Day, First Bank of Nigeria Limited and FBNQuest Merchant Bank, both subsidiaries of FBNHoldings, joined the rest of the world on 31 October to mark the 2018 World Savings Day themed “what do you wish for?”. The six geo-political zones of the country were covered with visits to 30 secondary schools and more than 1000 students imparted with knowledge of financial literacy nuggets. According to the official website of World Savings Day, “World Savings Day or World Thrift Day was established to inform people all around the world about the idea of saving their money in a bank rather than keeping it under their mattress” which is akin to FirstBank’s commitment toencouraging its key stakeholders, customers, to imbibe savings culture whilst having their children also carried along on the essence of savings through its youth focused products, KidsFirsts (0 – 12 years) and MeFirst (13 – 17 years) carefully designed to meet the financial targets of the given demographics. These accounts ensure the accounts holders acquire the rudiments of banking and financial literacy as they grow into adulthood and they both come with exciting packages to support the financial journey of the children, enabling them learn money management from an early age. Speaking on the World Savings Day, Folake Ani-Mumuney, Group Head, Marketing & Corporate Communications, First Bank of Nigeria Limited said ”FirstBank’s participation in the 2018 World Savings Day is one of our many interventions in Financial Literacy. As the Bank continues to entrench the savings culture across all its markets, it has over several years engaged in Savings Promo to encourage and reward savings whilst committing human and financial resources to the development of financial literacy among secondary school students under the auspices of the FirstBank Futurefirst programme. Sharing similar views, Kayode Akinkugbe, Managing Director/CEO FBNQuest Merchant Bank said “The CBN has created an essential platform which affords us the opportunity to enlighten Nigerians on finance-related matters, thus, contributing to financial literacy across the nation – a cause we are very passionate about”. “We believe that opportunities to transfer a wealth of knowledge, are crucial to the development of our economy and the sustainability of society. We therefore, take very seriously, the responsibility of equipping the next generation so they can take our nation to its next level of success”; he added. 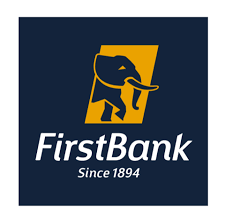 Only recently, FirstBank organised its week long Corporate Responsibility and Sustainability event themed “Touching Lives; You First” which offered FirstBank employees the opportunity to give their time and resources to the service of humanity. The week-long event was simultaneously carried-out across its business communities in Nigeria, United Kingdom, Democratic Republic of Congo, Ghana, The Gambia, Guinea, Sierra-Leone and Senegal, a testament of the Bank’s brand promise to always put stakeholder needs first, while reinforcing its role in driving sustainable development in the communities where it operates. GTBank Introduce GTWorld, Nigeria’s First Fully Biometric Mobile Banking App. Stanbic IBTC Target Youths With Inaugural Youth Leadership Series. UBA Promotes e-banking With Dubai Trip.